The S&P 500 weekly is showing another full green bar. 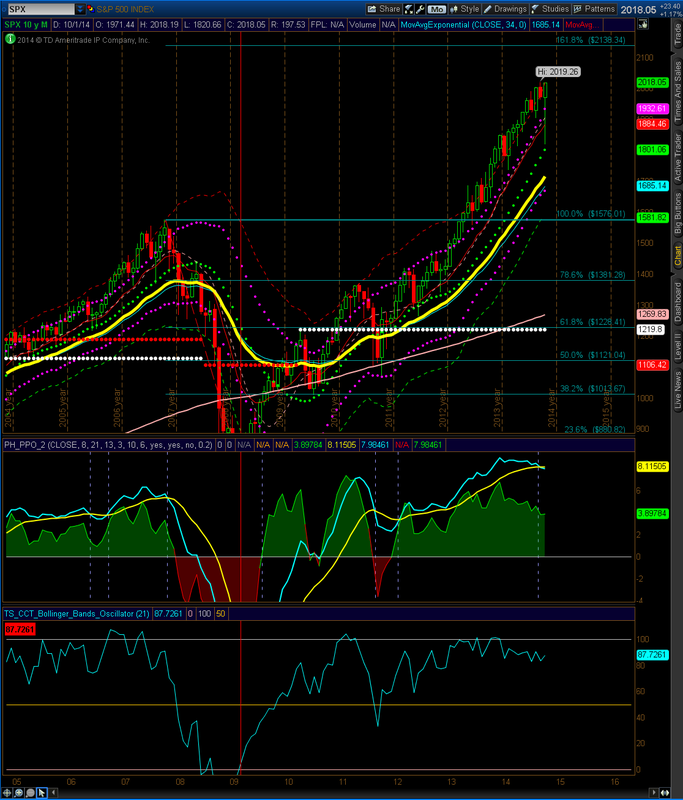 In the event a rally, 2033 may be tested, while a sell off could retest the 1960s. 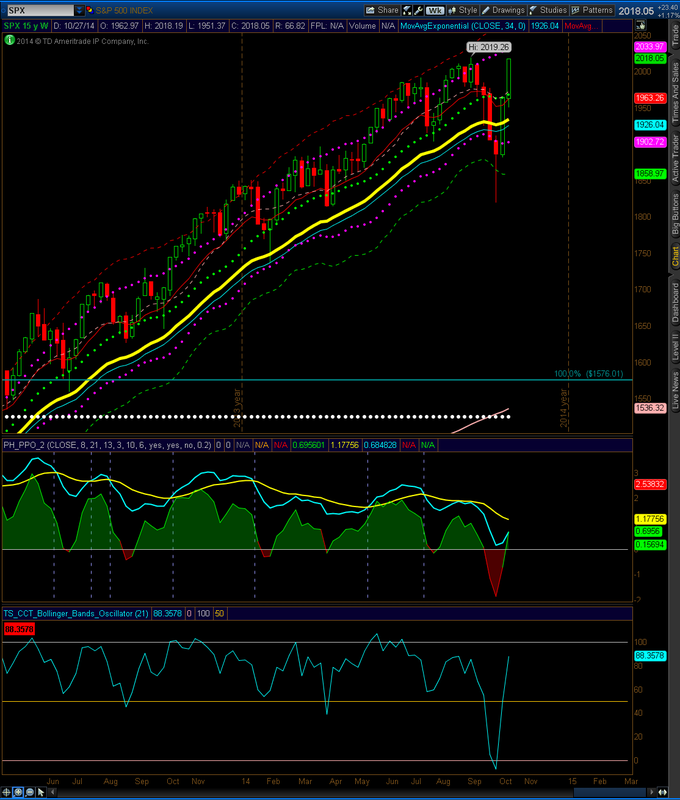 The S&P 500 Monthly is still showing divergence despite the long tail on October’s monthly bar. The lows near 1826 were bought all the way back up highs last month. 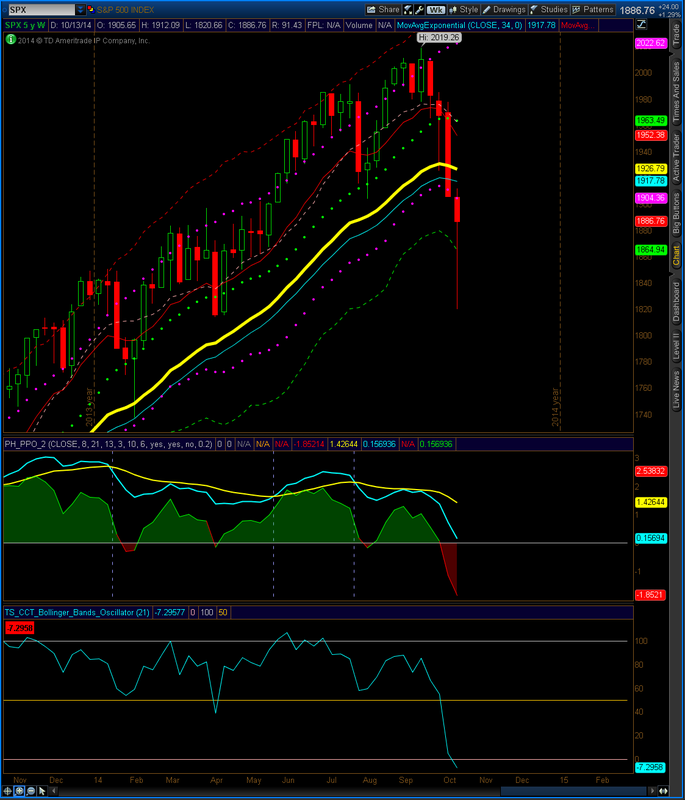 In order to change sentiment to neutral, a monthly close beneath 1800 needs to be seen. Until sustained weakness is shown, the monthly outlook remains bullish. The S&P 500 has rallied back to the middle Keltner line. On sustained strength, highs near 2000 may be retested, while a sell off could push the index back to lows. 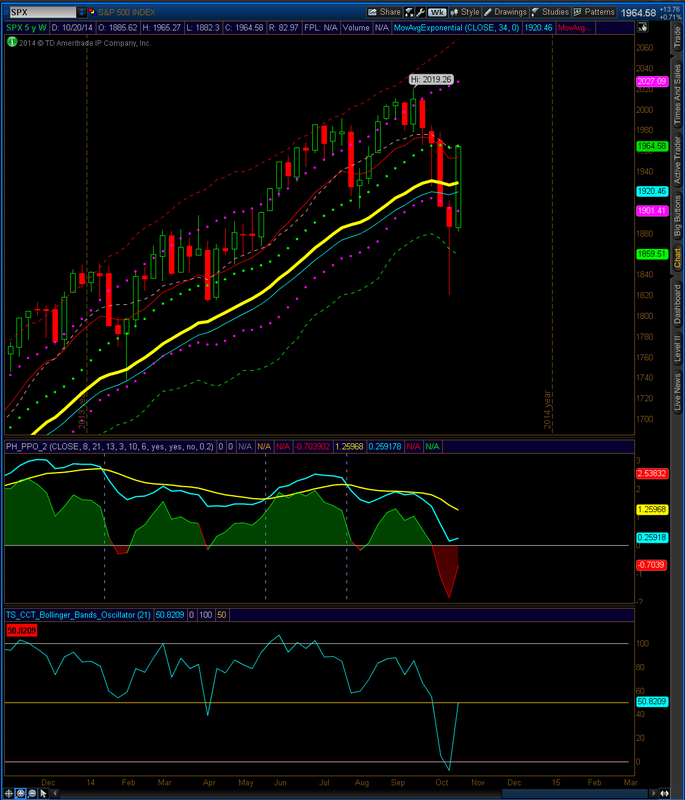 The S&P 500 weekly is showing another close beneath the lower Keltner channel despite the lows being bought. Until the market can show sustained strength, the weekly outlook remains bearish. 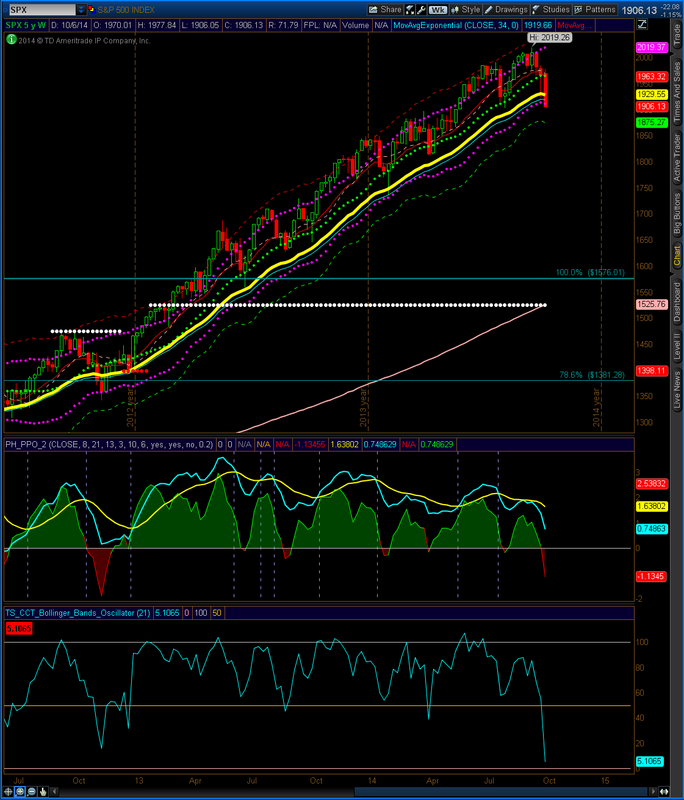 The S&P 500 weekly is showing a break down below the lower Keltner line. This is the first close in this area since November 2012.